One beautiful thing we can all do is turn the radio off and listen to what is around us. This is just what BZ-Skills did when he was young. 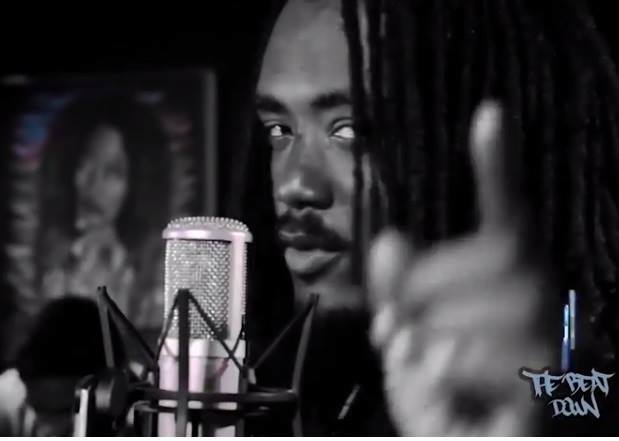 Skillz who hails from the city of Belize in Central America, grew up around music and poetry thanks to his grandmother. As he became a bit older, Skillz saw the connection that performers had with their fans and how it created unity within groups of people who didnʻt have much in common except the music. “I wanted to do that and find a way to unite my country.” shared BZ who is not just an emcee but a poet and undefeated battle rapper. Directly out of high school, Skillz had planned to take over the family business for his grandfather but instead pursued music. A lot of the joy and energy Skillz received from writing poetry to creating music and performing on stage came directly from his grandmother who took charge of her own success. She was an inspiration because she also wrote poetry. His grandmother learned from her experiences the importance of evocing emotion and making an impact on many people in the community. She has been able to publish books and DVDs about the subject. His grandmother who had the chance to appear on “Nuh Matta What,” a popular TV show in Belize and this was so big for Skillz at an impressionable young man. Bzʻs most recent project, Knowledge Mixtape has been released under Youngstarr Multi-Media Entertainment in January ʻ19. Skillzʻs newest single, “Resurrection,” immediately received thousands of views on Facebook the first day it went live and garnered thousands of views on Youtube within a few days. Skillz had not released any music at this time in quite a while so it felt good, he says to know that there are fans out there that appreciate his music. Skillz first heard of Youngstarr Ent. 10 years ago when he met a group of other local artists from his country. He saw how they shared his passion for music and with the support of his grandmother, Skillz had the chance to develop his skills as an emcee and gain knowledge about the music industry. Skillz has released three mixtapes and seven singles working with Youngstar. Performing on stage is where Skillz gets a lot of his passion for music from and it is apparent by looking at some of the venues and festivals he has had the chance to rap at. Working through Youngstarr as one of their major artists, Skillz has had the chance to perform at several major events such as “Starr Summer Jump Off” (Belize) and “NYC Reggae Fest” while performing with Jah Myrakle and “Rookie Of The Year” (ROTY) (New York). Lest we forget “Flavas Entertainment New Yearʻs Extravaganza” and for fans at “In My Room at 40” Tour which is how he ended 2018. “Those are the things that make it all worth it for me. Going forward, I just want the fans to know that Iʻm always bring(ing) a lot of energy and cadence while giving you a vibe that’s nothing like you’ve seen me do before.” Skillz explains that he likes seeing fans faces when performing and “dropping fire” as he says. He also notes that he appreciates fans singing lyrics with him while he performs. Donʻt get Skillz wrong, his head is not full of air and he doesn’t just concentrate on his own needs. His goal is to help make positive change in Belize. From performing at Mental Health Day in Placencia, Belize to working with young poets in a mentor-ship program called Belize Youth Voices” that works to strengthen young poets in how to write poetry to performing. “I hope that my concerts can be venues for people all over the world of different races, creeds or background to have some common ground and open up dialogue about solving problems not just talking about him.” Skillz believes in what he states. “Hip Hop is life. It gives me the ability to tell my story, share my pain, my joy, my everything. It allows me to shed light on things that people wouldn’t normally pay attention to in ways that they wouldn’t normally see it from. It’s my outlet to my stress, fears, accomplishments, desires, etc. I don’t know how else to describe it.” Put beautifully by Skillz. “Resurrection;”Skillzʻ hottest single (unrelated to “Knowledge” Album), starts off a bit gloomy, a good setting for a foggy battle field. Skillz immediately begins rapping over seemingly drumstick-sounding pounds on a bottle. His emcee skills are raw and packed with emotional ammunition. The song, according to Skillz explains his own personal triumphs and failures, learning from everything and showing everyone he is still here and better than ever. There is more music coming out Skillz, he seems to eat and breath music, coming up with new tracks in his sleep. He does not work on a set song structure to create an album rather he is constantly creating, spending most of his time in the studio. “Weʻre always working on something. And we like to work,”exclaims Skillz and every year he gets better. So far he has a nice line up he is working with on songs including Belize artists such as Brady T, Tall Money, Prophit, and King Kosa. Skillz is on his way to artistic and national success and wants to thank those around him who have supported and been there for him throughout his experience as a musician and a community leader.